The next RedBerry Sewing Day is on Friday 11 April at 9.30 am at St Luke's Anglican Church Hall, Princess Street, Berry. - a demonstration of basic foundation piecing for those who are not familiar with the technique. - instructions for the Group Quilt Project for those who are interested. 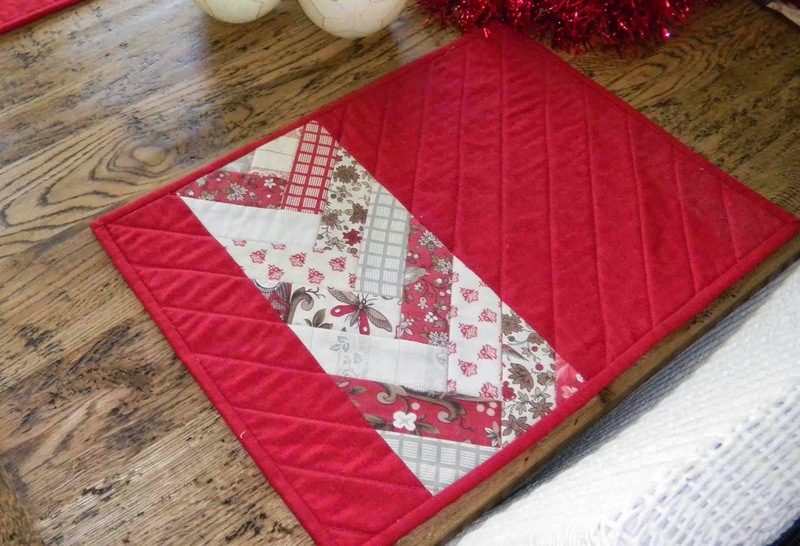 The Group Quilt is based on a simple foundation pieced block. You are welcome to be involved in some or all of the above .... or just enjoy the company and morning tea! We will bring irons and ironing boards and a cutting mat and provide morning tea.